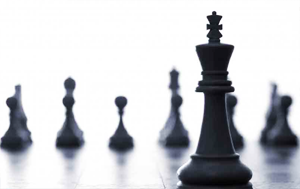 A.S Moorthy & Co., is one of the largest growing company/organization in TamilNadu. we have large number of customers around the world. We are the manufacturers and exporters of Papad, Jaggery (Balls & Cubes), Asafoedita, Roasted Gram, and Tamarind. We are the leading Papad manufacturers and exporters in India. We are specialist in manufacturing 6 flavors/varieties of Papads like Plan Appalam, Masala Appalam, Chilli Appalam, Pepper Appalam, Garlic Appalam and Potato Appalam. We hail a strong presence in Tamil Nadu, India. Our papads are well known for their delicious taste and superior quality. We are sure that our products will add delicious taste to your meals. Our papads are well known as 'Grub Companion' for their delicious taste. We manufacture and process unmatched quality and delicious Indian Appalam/papads under a very hygienic production conditions with good quality control methods. Our manufacture and packing process undergoes multi-level quality control to ensure delivering hygiene and well packed papads to our customers. With the worldwide growing demands for our papads we do a good volume of Exports. We do a good service to our customers by delivering hygienic products and so we have a good tie-up with all our customers. We are very strong that we never lost a single customer in our business and the count keeps growing because of our good service. In that way we are proud to say we are 'Customer Friendly organization'. 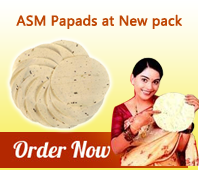 We manufacture and process unmatched quality and delicious Indian Appalam/Pappads under a very hygienic production conditions with careful quality control methods.